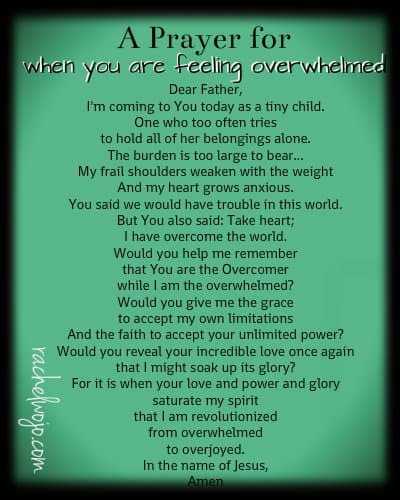 I wanted to share this prayer with you in followup to a busy post from earlier this week: 8 things not to do when you feel overwhelmed. I’m coming to You today as a tiny child. One who too often tries to hold all of her belongings alone. And my heart grows anxious. You said we would have trouble in this world. while I am the overwhelmed? And the faith to accept your unlimited power? that I might soak up its glory? oh wow- Kim!! So glad you are still reading and praying this prayer for you today! Rachel, I am still reading along with you. I am thankful for the organization!! I’m still behind…I find this prayer touching me right where I am. Thank you! I just wanted to thank you for the reference for an Isaiah study. I also wanted to also add to the laying burdens at the feet of Jesus, pouring out your heart. I loved it, and also it caused me to look into it more and I found from 2Kings 19 concerning Hezekiah and the letter from Sennacherib and what transpired when he poured out his concerns before the Lord. It was a battle Hezekiah could not fight on his own. I appreciate that your blog challenges me to look deeper. Bless you, Joanne! You are so welcome. And now I’m going to have to refresh myself on Hezekiah! Iron sharpens iron, Sister. Have a great weekend! Have a great weekend everyone … Your alive … And Jesus loves you! There has a lot of overwhelming times in my household the last couple of weeks- and today one of those things got lifted off our shoulders and we are rejoicing in The Lord! It is proof that we should quit and we should continue to trust in The Lord and his plans for us- that in the end he will show us his love! I read Psalm 18 today again and it really shows the love with have to have for god and the love god can have for us! 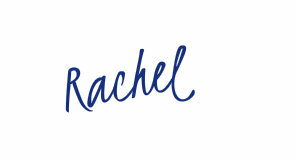 I am behind in the reading but I am not quitting and I am planning a day where I can “catch up!” Thank you Rachel for inspiring us and giving us a place to share and support each other. *I meant to say we shouldn’t quit!! Sorry about that! I am reading the first thread and am ahead in I Samuel. Our Bible Study is in Luke and has been in the New Testament for a year or more so am reading a lot there, too, and also enjoying Psalms…..not following entirely, but happy with where I am and your daily reminders! You go, Cathy! The point is to stay in God’s Word- no matter how much. 🙂 Thanks for the update! I am also reading along! My husband and I are being baptized this Sunday. We have been taking classes for a while now and are finally ready to take this step in our lives and dedicate our selves and our family to christ. I enjoy reading your message and the prayers you come up with. I share them with my sisters and mother and grandmother. We used to be a family that bonded over food and the sopranos and now we are bonding over your words and how we can relate at different ages. Thank you again. Oh Danielle! Thank you so much for your comment! What a sweet family bonding time. May the Lord bless your new walk in Him!